Even if you haven't touched a TrackMania before, you likely are familiar with the series through its often remarkable presence on YouTube. If it's a clip of an inspired, logic-defying track in which the person playing seems infallible, chances are it's TrackMania footage you're watching. The question then usually comes down to "Is it as fun to watch as it is to play?" Well, is it? Despite there being solid racing experiences in Forza Motorsport, Gran Turismo, and likely whatever Criterion Games is working on next, you can count on Nadeo to give gamers something you won't find elsewhere. I get the clear sense that they aren't taking a different approach just to be the outlier, rather, they're making what they enjoy. Having found a successful niche for itself, the French studio is now branching out with ManiaPlanet, a platform for its "Mania" line which will eventually include other titles with a similar focus on user-generated content. 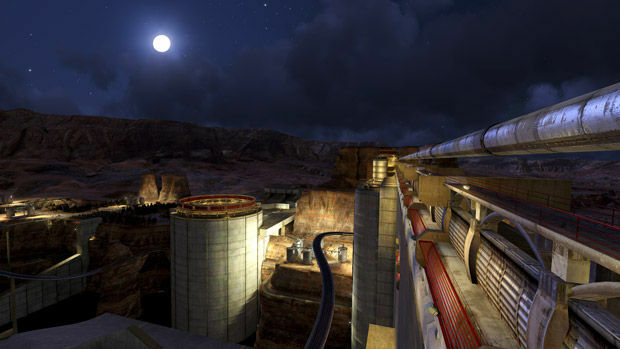 In order to play TrackMania 2 Canyon, you'll need to use ManiaPlanet, so I figure it's worth a mention. At present, there isn't much to say about it; you sign up for a (presumably) cross-game account, have the option of sending messages to other users, and that's about as glamorous as it gets. Those worried about ManiaPlanet getting in the way needn't. If your Internet happens to go down, you can play the game as usual offline, excluding any online-oriented features, naturally. Solo races, track editing, replays, etc. are all fair game. I'll go ahead and assume the name "TrackMania 2 Canyon" comes off as equally weird to most of you. 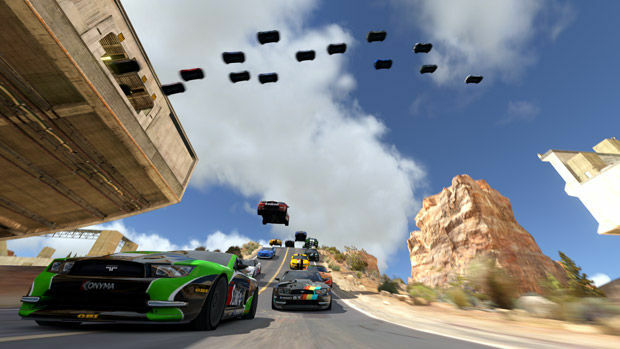 Basically, this installment brings significantly improved visuals, a single canyon environment (hence the title), and other miscellaneous refinements you'd expect to see in a new iteration of a racing game series. Single-player consists of increasingly difficult (and imaginative) tracks which you race across in time trials. The majority can be completed in under forty seconds, and at any time during a race, you can instantly start over. By default, you're up against a single AI opponent, though there isn't any collision -- it's a ghost. Even better, you can download ghosts of the world's greatest players, which ends up being incredibly useful for improving times. You're scored using medals (gold, silver, bronze), with the unlock of additional levels often requiring only a decent performance. Of the 65 levels included, I was able to play all but the final 15. Like I said, the game gets tough. Given the price, there's a reasonable amount of pre-made content to play. What's interesting about TrackMania 2 is how refined everything is; it's simplified in all the right ways. The entire game is played using only a few buttons, one of which is dedicated merely to restarting. As someone who has never felt particularly proud of his in-game drifting skills, I must say, drifting here is an absolute joy. It's intuitive, and doesn't feel overly sensitive. While Nadeo has cut out much of the fat -- there is no "career" to speak of -- make no mistake, there's plenty of complexity and subtle movement that goes into achieving the very best times. Progression and gear unlocks might be the norm, but it's refreshing to see Nadeo didn't feel obligated to include any of that functionality. The focus is on the racing itself, first and foremost. I'm much more into arcade-style racing than straight-up simulation, and I felt right at home with this game. To preemptively answer the obligatory question, yes, there is car damage, but it's cosmetic in nature. As hinted at earlier, TrackMania is best known for its ridiculous courses. Think Matchbox cars on a grander scale. There are loops and absurd jumps in the Nadeo-created tracks, sure, but none of them get too crazy. And that's where the in-game track editor and community at large come in. Tracks are built using a block-based system that couldn't be much easier to use. If you're not skilled when it comes to these things, you can even go with a simplified editor. Alternatively, you can count on someone else to dream up an insane track, and they probably will. There's also a rather involved video replay editor to tinker with. Sadly, it's a bit too far beyond my grasp, but I can appreciate the amount of depth being offered. 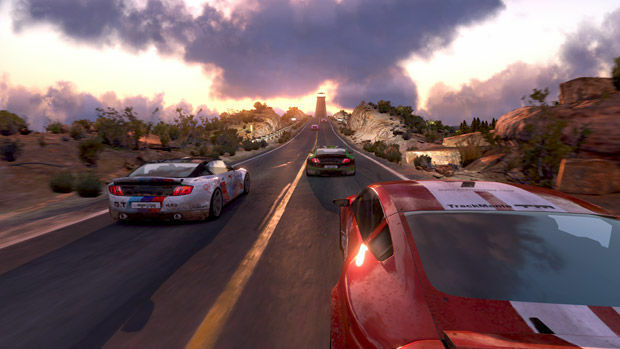 Multiplayer works similar to the single-player races described above. Servers rotate levels every so often, but in that given time, you're free to race again and again, hopefully improving your placement during each attempt. While doing this, other players can be seen as well; once again, there is no collision. I haven't come across any truly spectacular fan-made tracks yet, but TrackMania 2 hasn't been out for too long. As players transition to this latest installment, I'm sure we'll start to see creativity impact the online scene. 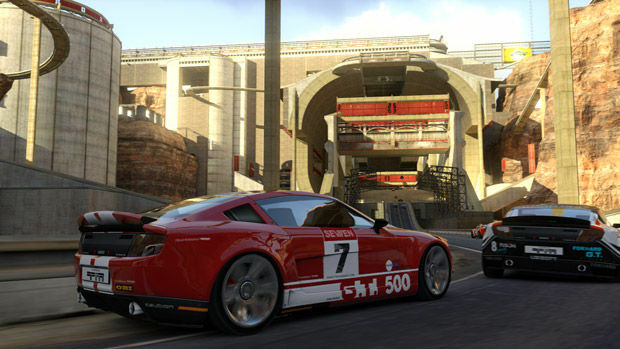 TrackMania 2 Canyon offers just enough tweaks to the formula to make it worth the download. Visually, it's not the prettiest racer out there, but the lighting can be particularly gorgeous at times and the system requirements are very reasonable. As the community settles in again, the amount of content will only grow from here given the excellent creation tools included. 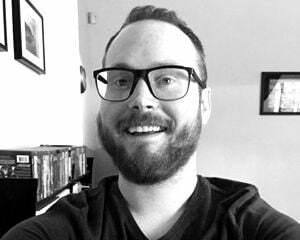 This is a series that is able to do its own thing successfully, and that's great -- the end result is refined, hard to put down, and worth getting into for first-time players. At such a budget price, there's not much to complain about.